Your home is a special place and, naturally, you want to keep it looking its best. Unfortunately, everyday life, kids, pets and even parties all take their toll on your carpets and floors and, pretty soon, they start to look tired and dirty. 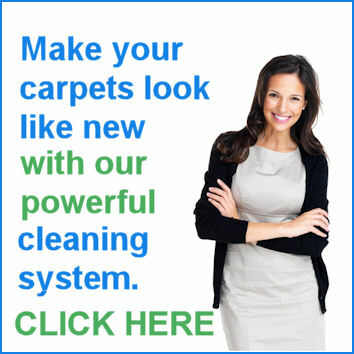 Our domestic carpet cleaning service uses a state of the art hot water extraction system. Our deep cleaning system uses 240 degree hot water and a high powered suction machine to delivery top quality results every time . Our staff are fully trained and we are fully inured for your complete peace of mind. If you would like to find out more about our domestic carpet cleaning service or of you would like to book a visit, then please get in touch today. We vacuum your carpet if needed and then apply a gentle pre-spray to loosen the worst dirt and stains. Your carpets are rinsed with a mild rinse which neutralises the pre-spray and leaves your carpets PH balanced and free from sticky residue. We then extract as much of the moisture as possible using the power of our Van-mount cleaning machine. Not only does the machine extract most of the water but it also lifts the carpet pile, making it look and feel nearly new again. Our state of the art method of carpet cleaning ensures deeper cleaning and faster drying times. Get in touch to find out how..
We use a state of the art van mounted, petrol driven cleaning system with hot water extraction. Our system is totally self sufficient – all the water, cleaning fluids and waste water are contained in the van, and so no bulky machines need to be taken into your home. Dirty water is removed offsite – The water is pumped from the van at temperature, then sucked back into our waste container meaning no dirty water is disposed of into your drains through a sink or toilet. The water is heated using our power – thats right, we we don’t even use your electric to heat the water. High temperature & Maximum suction: Our van mounted cleaning machine sustains very high temperatures and has a powerful suction rate which extracts water better than any other carpet cleaning methods.